The Bayelsa state government has attracted a $3.6billion, private sector driven fertiliser and petrochemical plant in Brass. This was disclosed by the State Governor, Seriake Dickson when he led the Amanyanabo of Twon Brass, Alfred Diete-Spiff, and a team of private investors on a courtesy visit to Acting President Yemi Osinbajo in Aso Rock, Abuja. According to Dickson, the state has a 10 percent equity in the project which will attract investors from different countries and create tonnes of jobs and transform the economy of the state. “We came to discuss issues on the Brass Fertilizer Project billed to take off in Bayelsa. That is a big ticket investment running into billions of dollars.The government team is here, the traditional ruler is here because the project is taking place in his domain. We are here to assure the Federal Government that Bayelsa is safe. Giving technical details of the deal, Olufemi Adesanya, Director of Brass Petrochemical, which is driving the fertiliser plant project said the project is to build a petrochemical plant that will produce ammonia and convert that to 1.3million tonnes of urea per annum. It will also produce methanol which is for industrial purposes and that will also yield about 1.7million tonnes per annum. “That total project will cost $3.6 billion ” he said adding that the debt equity which is 70 percent on the side of Petrochemical will be funded by the Chinese EXIM bank “ they have committed to finding if we meet some conditions and we are already meeting those conditions”. 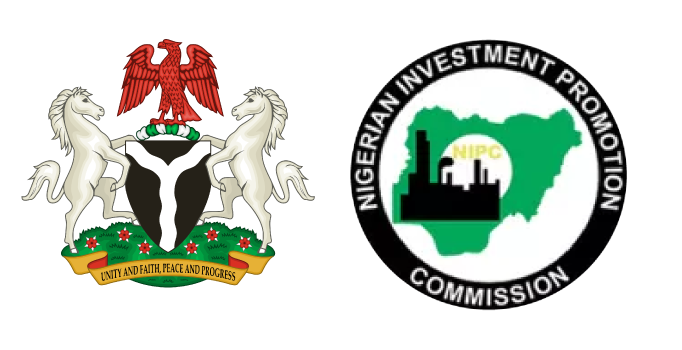 Other investors in the project consists of DSV as the promoter, on the Nigerian side it has Bayelsa state which is investing about 10 percent, NNPC which is also taking about 10 percent, MPC group a German company investing about 20 percent and there is GE who are also looking at investing another 20 percent of the equity. Then we have Halothurpsle which is a Danish company they are the licensers of the technology for petrochemicals and normally what they do is when they take interest in a project they provide the license for the technology and also take equity, so they are planning to take equity of about 10 percent. There are also a number of companies we are talking with. That the project will also include gas evacuation and processing facility “because the feedstock for the petrochemical plant is gas, we will also be transporting 300million standard cubic feet of gas and we will process it in order to deliver lean gas to the fertiliser petrochemical plant. The gas will come from five different fields and Shell will drill the wells and connect to manifolds, we will then go to that manifold with our pipelines and evacuate the wet gas, to the project site where we will have the gas processing plant. This will be a very large processing plant because 300million is quite a lot”. The governor also thanked the federal government for its new approach to pursuing integrated development in the country based on partnership and collaboration evidenced by the fertilizer plant. He also said the state was appreciative of the Acting President’s dialogue which has led to the peace, stability, security and development of the region. He said part of the dialogue is to engage with all the oil producing companies to see how they can begin to have a respectable presence in the state. He also thanked the federal government for the policy of promoting modular refineries in the Niger Delta region.